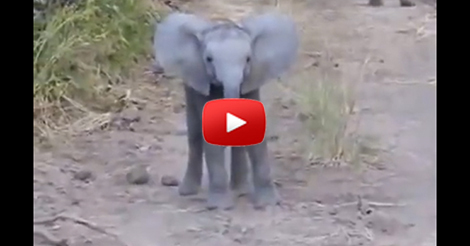 A young elephant showed off his new charging skills… and it’s the cutest thing! He knows there are people watching him so acts extra cuddly and cute to show-off… and he even went near the camera to pose a bit and starts running off again to his family. He certainly knows how to get the attention of the people… but we don’t mind at all. Babies are bound to act cute whether humans and animals. 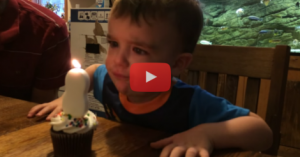 This Toddler Can’t Figure Out How To Blow Out His Birthday Candle…Until Dad Comes Up With A Clever Solution! Smart! 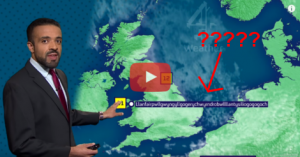 This Village Has A Name That Most People Can’t Even READ Correctly…But This Weatherman Nails Its Pronunciation Without Even Blinking!